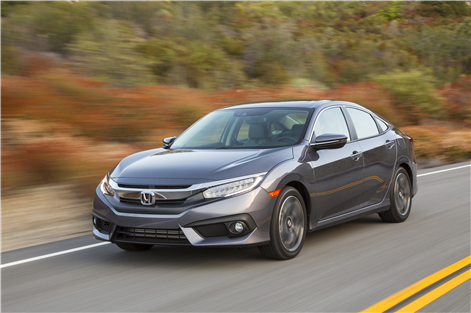 The Honda Civic has long been the best-selling car in Canada. The Honda Civic has long been the best-selling car in Canada. In fact, Honda's compact sedan has dominated Canadian car sales for the past 19 years, but the reality is that the Civic has been a huge success ever since it first entered the market in 1973. And now, the Civic has achieved another major milestone as the two millionth unit left the Honda production plant in Alliston, Ontario. The impressive success of the Honda Civic is due in large part to its legendary reliability, balanced on-road behavior and safety. The current-generation Civic retains all of these elements, but it also offers state-of-the-art safety, connectivity and comfort technologies. It therefore shouldn’t have too much trouble maintaining its title as the best-selling vehicle in Canada. To learn more about the 2017 Honda Civic, contact us today at Orleans Honda!